Strength training can often be a misunderstood training modality, and for this reason many people will often avoid it all together. In truth, strength training should be an integral part of any long term training programme for a multitude of reasons. Here’s why. It can be argued that strength training is the mother of all attributes. The quality of strength underpins many athletic biomotors. Studies have shown that if you want to increase speed, power, agility to name a few you are best served getting strong first. Think of filling a bucket full of water. If you wish to fill the bucket with more water you need a bigger bucket. Strength training makes your bucket bigger. It will lay the foundation in order to train other biomotors more effectively. Strength training is not just about throwing around the biggest weights possible. In order to train strength effectively you need to be able to figure out how to apply force in terms of the movement and the muscle action. This could be concentric vs eccentric muscle actions, fast vs slow movements, range of motion of the movement, stability and load types. On that point load doesn't have to be exclusive to barbells. Your own bodyweight is a load type. The skills and strength required to squat heavy and handstand will be vastly different. Just because handstands don’t require heavy loads does not mean they don’t require strength. When performing lifts with heavy loads things change, issues that may have never been found can be unearthed. You can only be as strong in a full range of motion as you are at the weakest point of your lift. In order to progress it forces you to address any issues. This could be improving mobility to hit greater ranges of motion, increasing stability through the core and peripheral bracing methods or developing under developed muscles in order to increase strength potential. When you stall with your body composition goals, a course of strength training could be the answer. 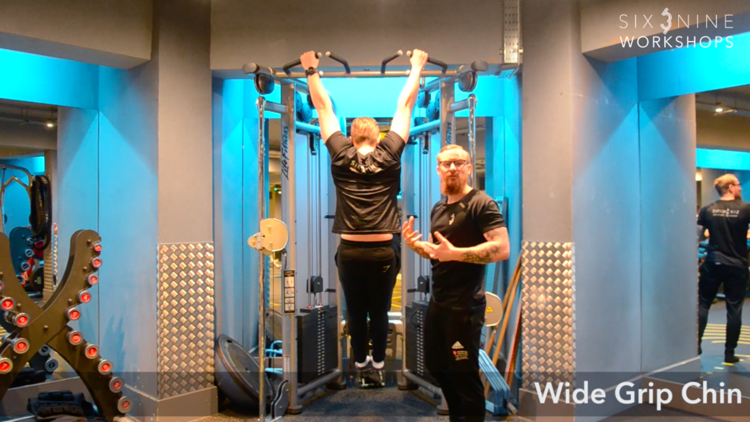 Increasing your top end strength will have a knock on effect down the chain. It will allow you to lift greater load at higher reps. This will allow you to increase the volume of your workouts which is proven to increase muscle gain over time. Whether you are a beginner in strength training or consider yourself more experienced, the benefits of getting stronger are applicable to everyone.